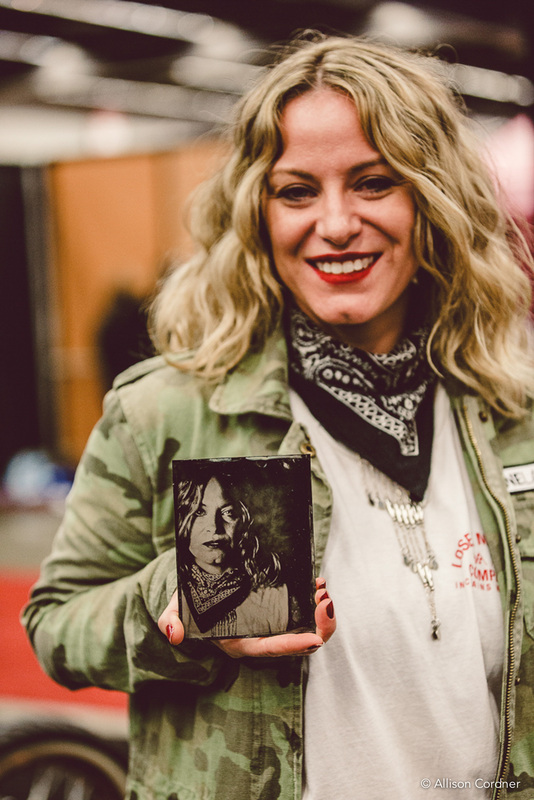 Last October, at the Babes Ride Out 4, the girls lined up at the Red Wing Heritage booth for a tintype portrait from the American, Lindsey Ross. Fortunately, we don’t have to go all the way to California to get our copy. Allison Cordner, a Montréal photographer, has been interested in this photographic process for about 3 years now. Her favourite subject is Bikers. – A portrait of a woman who is not afraid of a challenge. 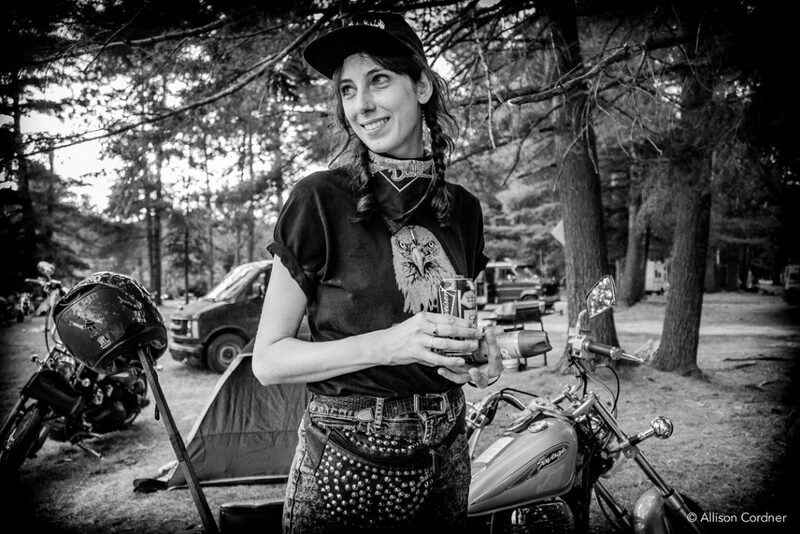 For as long as she can remember, Allison Cordner has been fascinated by the world of motorcycles. When she was young, she would watch with amazement as groups of bikers rode through her neighbourhood. She was captivated by the mysterious aura hovering over their heads. Who were these rebels? Maybe they were not all rebels but in the mind of this young blond girl, they represented freedom and independence. Her parents did not agree. They viewed the bikers as unsavoury thugs and they should not be a topic of interest for a young girl. Of course, what is forbidden can be alluring and they were an extreme attraction for a young girl dreaming of independence. 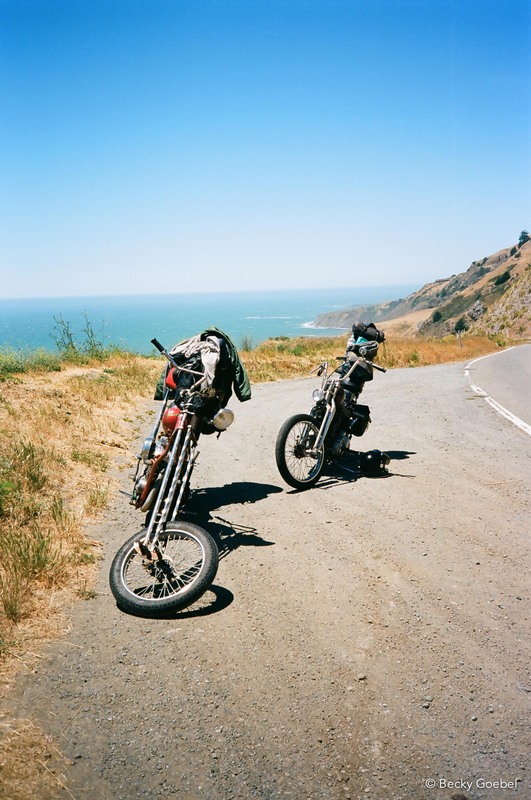 She was marked by this image of outlaws on two wheels and it remained tenderly embedded in her memories. In her twenties, Allison was still in search of herself. After obtaining a degree in Contemporary Dance at Concordia’s School of Fine Arts, she did a complete 180. She registered for a Business Photography course at Dawson College, got married and had two beautiful children, both as blond as herself. Her life was full of intense challenges, in both her family life and her photography job where she specialized in family photography. In 2014, while surfing the web, she happened upon a photograph that caught her attention. It was a monochrome image on a metal plate, a process that she was not familiar with. 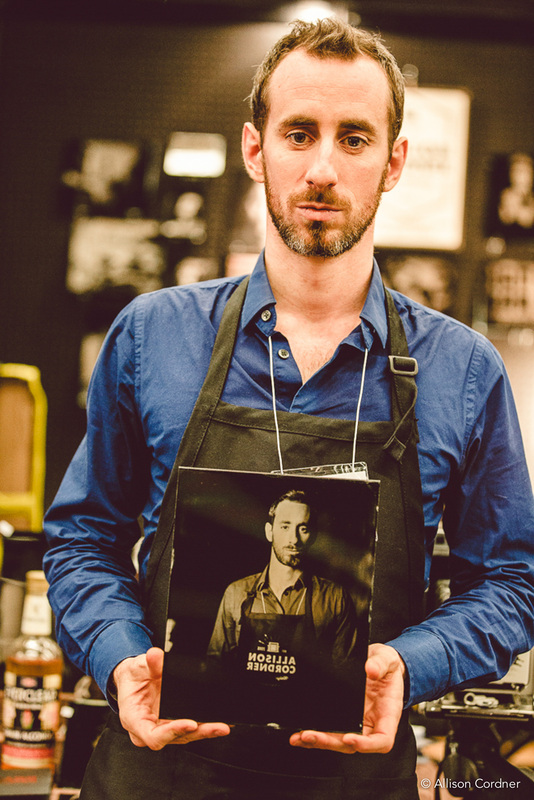 She did some research on the author of the image, Ed Ross, and discovered the tintype. “I immediately wanted to explore this process, but I soon found out that the equipment necessary to create this type of photo was not sold in regular large surface stores. It required a little searching,” she admitted. “I found the right camera online, in Modena, Italy.” It was not just any camera! 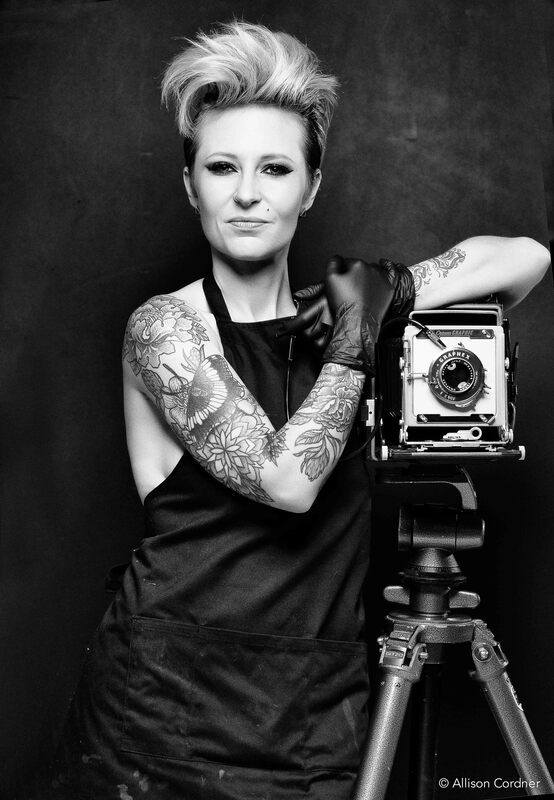 It was hand-made and customized by Gibellini Projects & Co. Once equipped, she registered for an intensive course at the Center for Alternative Photography in New York. She returned to Montreal but her attempts were not successful. 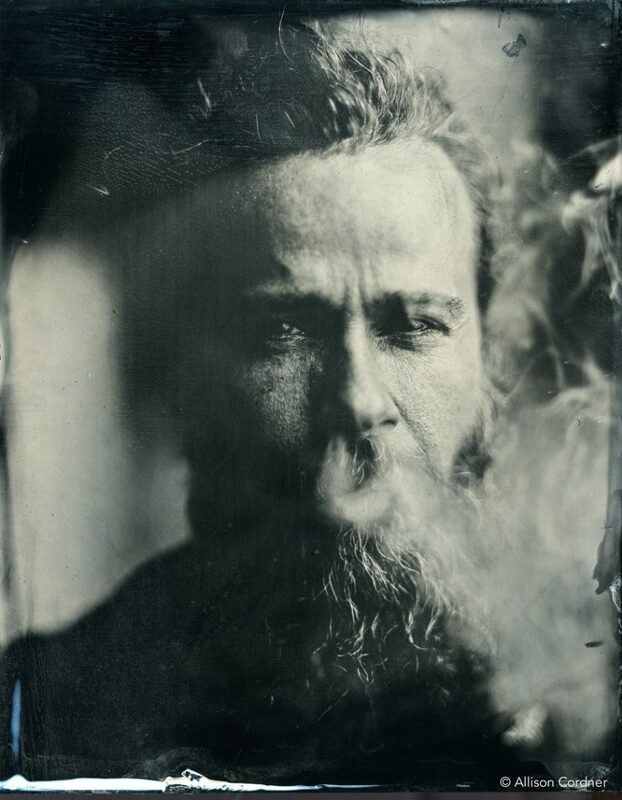 In the digital era, tintype photography was a cumbersome and costly process that needed to be mastered: knowledge of chemistry, patience and precision were indispensable elements for anyone who wanted to embark on such an adventure. Faced with these complex techniques, she registered for an advanced course. She left for Paw-Paw, West Virginia to refine her art with Lisa Elmaleh, a talented photographer, once assistant to Joni Sternbach who created the magnificent series Surf Site Tin Type, a tribute to surfing, the lifestyle and the people who love to surf. Unfortunately, on the night Allison returned to Montréal, all the pictures she took during her internship were stolen from her car… “It was late and I was wiped out. I left everything in my car. It was a shame that I lost my beautiful souvenirs, but it could have been worse! My camera was also in the car but the thieves didn’t take it,” she says with relief. And what about the motorcycle? She quickly became part of this emerging community. 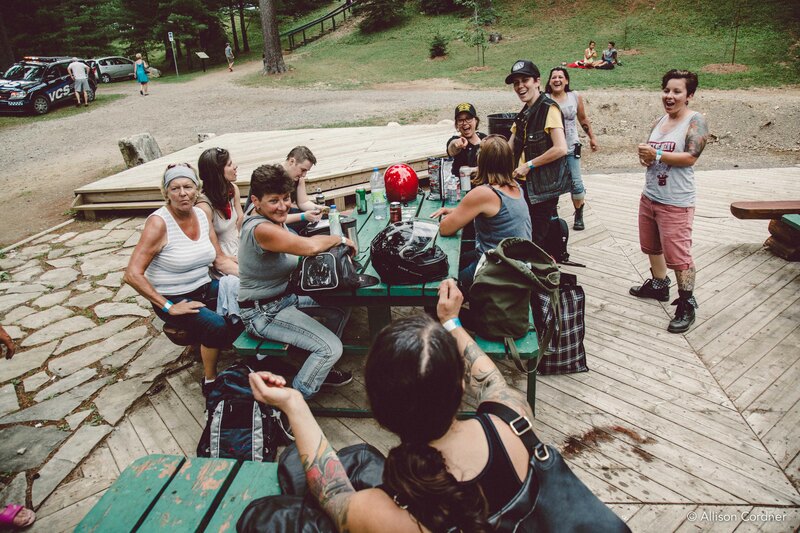 “The Litas Montréal, as well as organizations such as Oneland, Doomsday Machine and #themotosocial made it easy with their warm welcome. 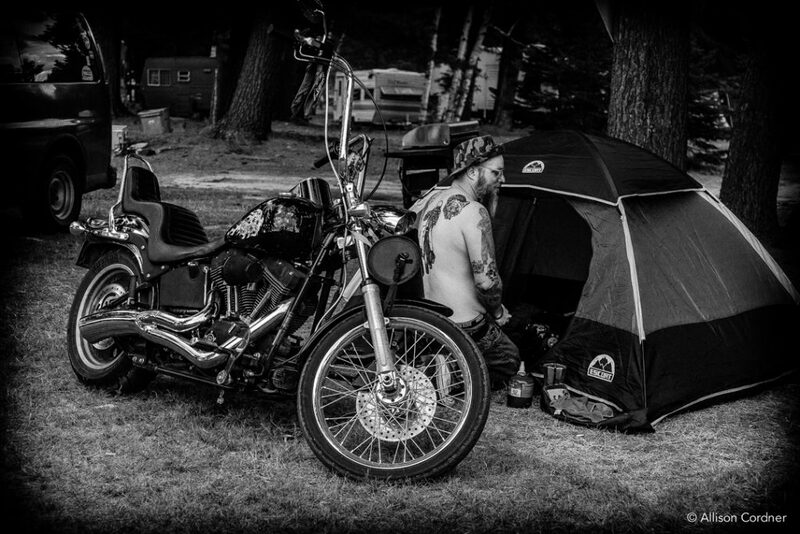 It was during events such as the Raven’s Run and The Run that I developed an interest for photography of the motorcycle culture. I brought my camera to almost all of the events that I attended,” the new member said proudly. 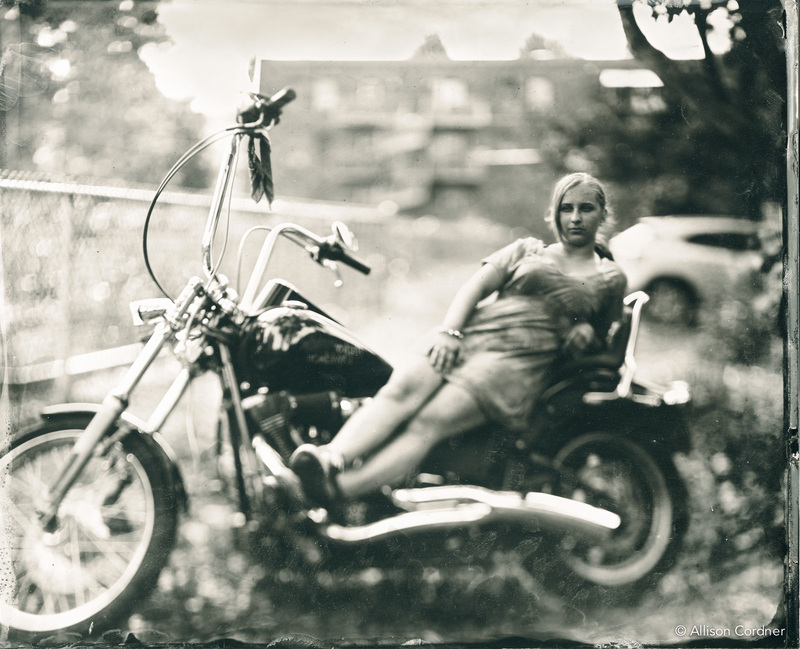 She had a hunch that the tintype would be of interest to the bikers. 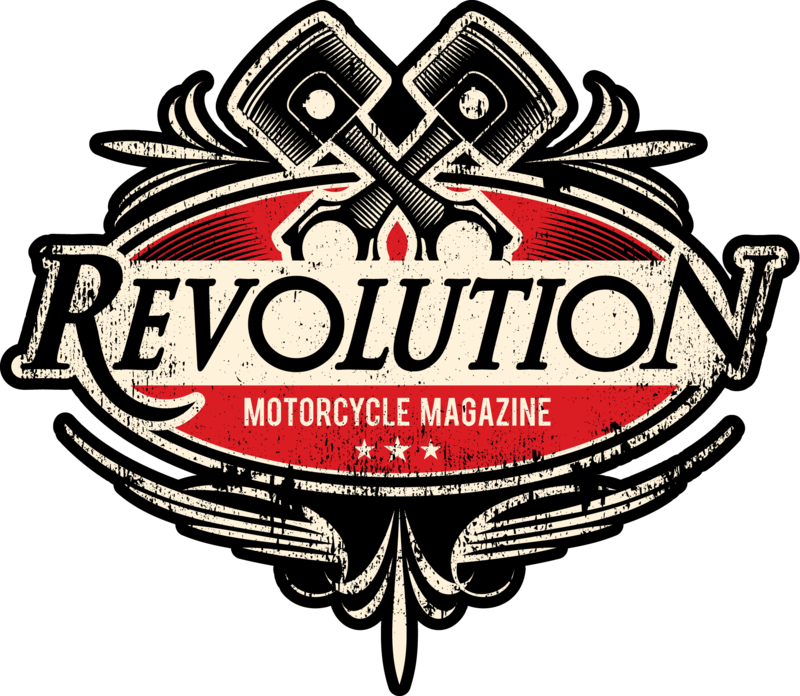 « I think that bikers, both men and women, are authentic, real people and have a story to tell. With its contrast and imperfections, Tintype is a medium that relays this sincerity without pretence by adding that obscure touch specific to the bikers”, reveals the one who today rides a Harley 48 1200cc. The photos do not require Photoshop to soften the features. They are, on the contrary, naturally highlighted by the process. 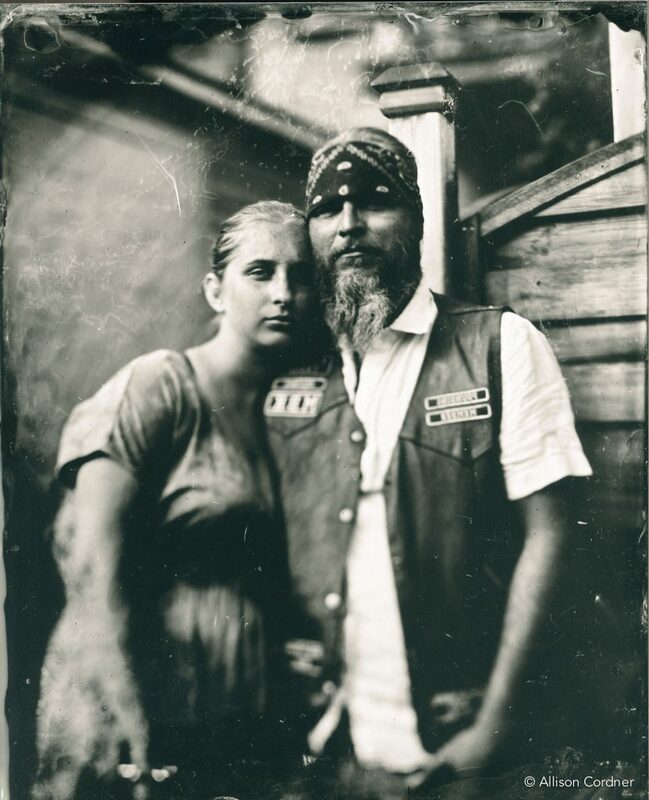 This is why many bikers love the tintype: the rough side gives an outlaw feel to those who are photographed, similar to childhood memories, when you think of it. 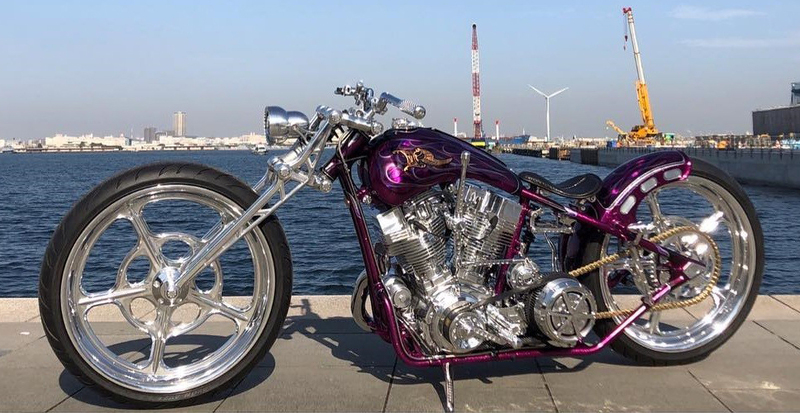 “When I was young, my parents did not have a positive view of my interest in motorcycles, but my grandmother was a biker, you know. She rode at a time when very few women had the audacity to defy proper morals and mount a two-wheeler. I didn’t know my grandmother and not very many souvenirs remain. I would have loved a photo of her on her bike. 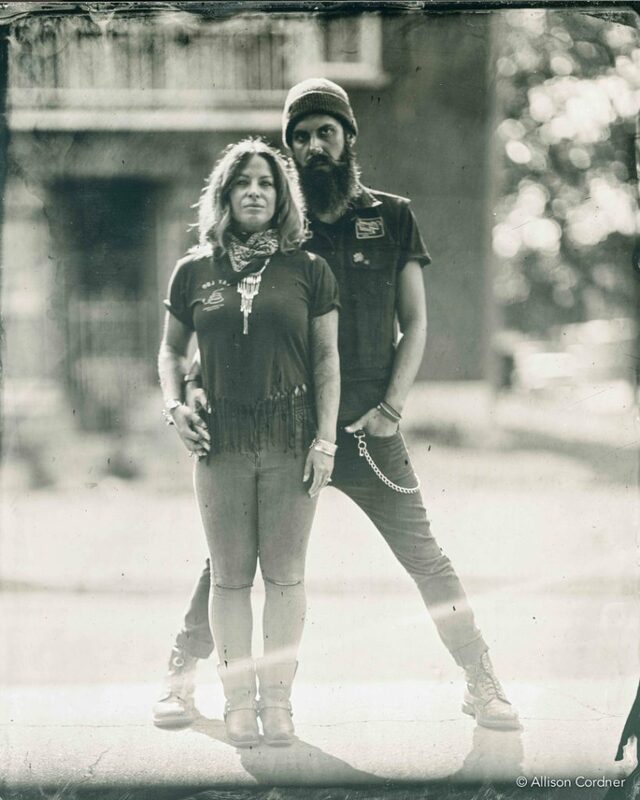 A tintype would have been amazing!” Photographs are indeed real family treasures and the tintype can last forever. There are several museums that still have images dating from the 19thcentury that are in excellent condition. In our era of consumption and disposal, the thought of leaving a photograph for your descendants is very interesting. With this in mind, she was inspired by her grandmother for her next series of photos: a tribute to female bikers. “One day I received a call from Sherin Al-Safadi, a woman prominent in the pharmaceutical industry. She requested my photography services, some professional photographs for work as well as some personal ones to capture her passions. To my great surprise, she requested a series of photos of herself while kick-boxing and another series on her Ducati. Behind her serious business woman image was a formidable kick-boxing opponent and a fearless biker. I didn’t have a motorcycle at the time. I was captivated yet intimidated by this woman. The day of the session, she had me mount her bike. She saw my interest and encouraged me to follow my dreams. She was an extremely generous person and meeting her had a great influence on me.” It is women such as her and her grandmother that Allison wants to highlight with her tribute project, inspiring women who have proven that anything is possible if you have the will to follow your dreams. This series is a work in progress and she hopes to exhibit at the end of the upcoming season. My next challenge is to increase my presence at events! 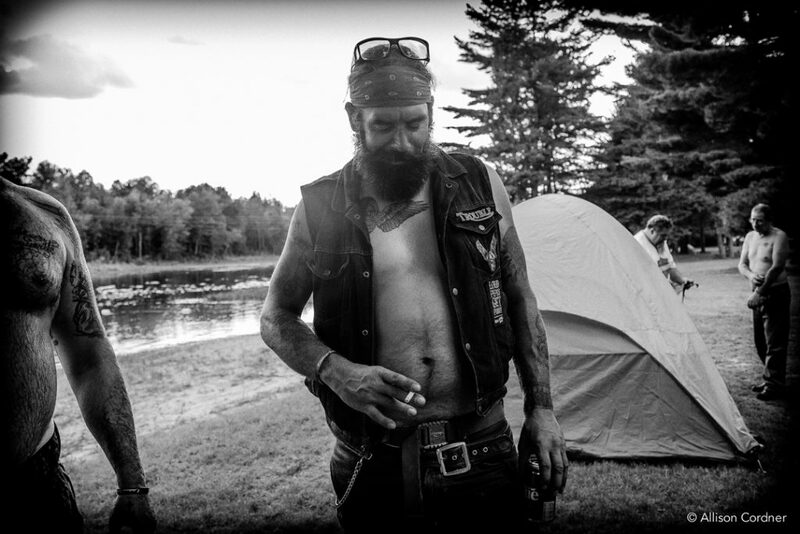 This year, I attended the Salon de la moto de Montréal to meet bikers and offer portraits on site. 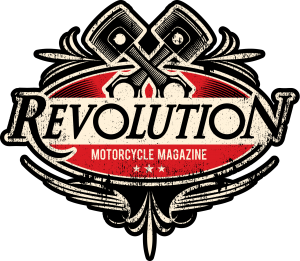 I adored the direct access to the motorcycle culture and it was very well received. I would love to do it again. I am currently looking for an inexpensive enclosed trailer to develop the tintypes on site as well as during external events. 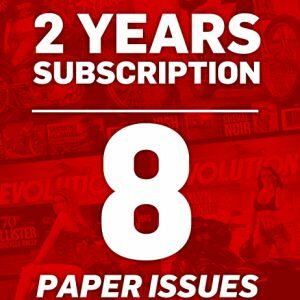 Spread the word to your readers! Someone might have a deal for me,” she tells me laughing. But this was not her ultimate challenge! 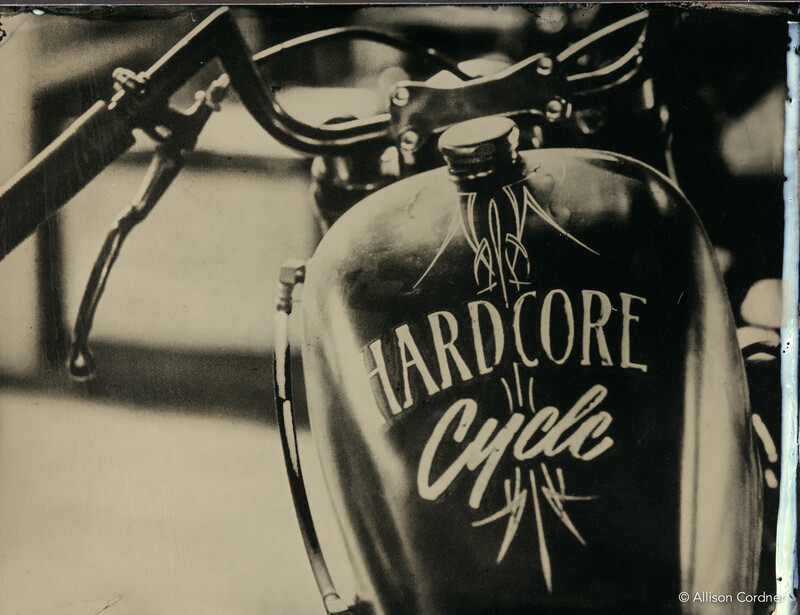 “I am currently exploring ways to transfer the tintype technique onto motorcycle parts. I have started on small parts but my dream is to eventually use it on a gas tank for example! That would be amazing and definitely unique,” Will she succeed? By examining her journey so far, we can expect that she will brilliantly meet this challenge. Do you want to treat yourself to a unique gift? 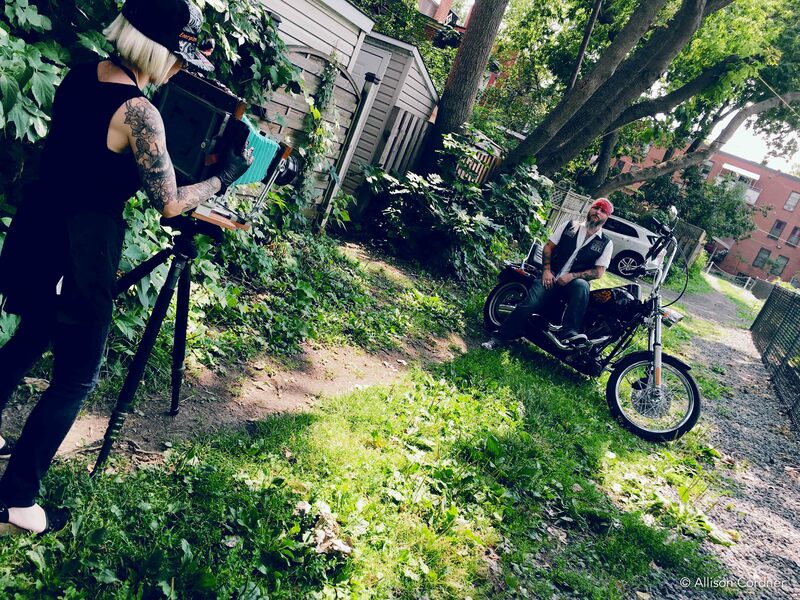 Allison offers solo or duo photo sessions, with or without a motorcycle, in her studio in St-Henri. To find out more, visit allisoncordner.com or go to Facebook @AllisonCordnerVintage. Tintypeis monochrome photography printing on a thin sheet of metal coated with lacquer introduced by Adolphe-Alexandre Martin in 1852. The sheet of metal is placed in the equipment and, after a determined exposure time, a collodion emulsion produces a direct positive image. 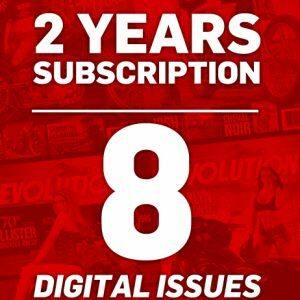 It is this unique image that is given to the customer. Contrary to silver printing, there is no negative film. At the time, the solidity and simple process, both quick and inexpensive, seduced travelling photographers and the military of the American Civil War. 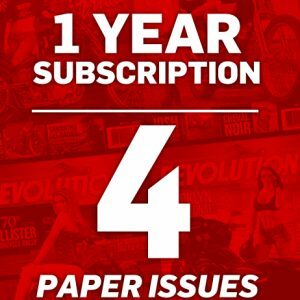 Previous Article Speed and Science Ltd.